Ever since driving and reviewing The Worlds First Electric Campervan I’ve wanted to get an electric vehicle. Ideally I wanted a small electric car that I could use for the daily commute but another small car didn’t really fit into the needs of the family (we have two Mini’s and a Campervan). 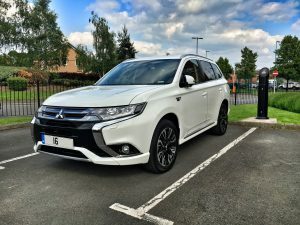 The opportunity recently came along to get a company car through my business and the sensible option was to choose a Mitsubishi Outlander PHEV. 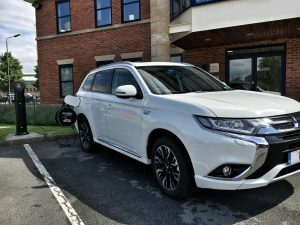 There were many reasons for choosing the PHEV (Plug-in Hybrid Electric Vehicle) but this post isn’t really about the vehicle choice, it’s about using electricity to get to work and back. The first thing I did was review my electricity usage and evaluate how much it costs. Using any electric vehicle regularly is going to hammer your bill so I knew I needed to be on the best tariff I could find. Quite surprisingly I found that by changing my electric and gas tariffs I would save over £700 per year and I kicked myself for not checking my current tariff much sooner. We have always been on Economy 7 which provides cheaper electricity off peak (seven nighttime hours) but increases the peak unit rate. The only way to know if this is going to be beneficial is to work out if you use over 40% of your electricity at night – because this is enough to offset the inflated day rate. Historically this benefited people with electric heating with the use of nighttime storage heaters and electric hot water tanks but now with an electric vehicle plugged in every night it’s pretty safe to say you will be better off with Economy 7 unless you are constantly running washing machines, tumble dryers, kettles and microwaves all day long. It all depends on your lifestyle and you will need to do your own sums. The main point being that my new deal for electricity is approximately 10.2 pence per kWh in the day and 5.7 pence during my seven off peak hours with a standing charge of 36p per day. The PHEV comes with a charging timer that can be controlled via an app or the in car dash display, this can be set to coincide with your specific hours of off peak electricity (the hours change across regions). 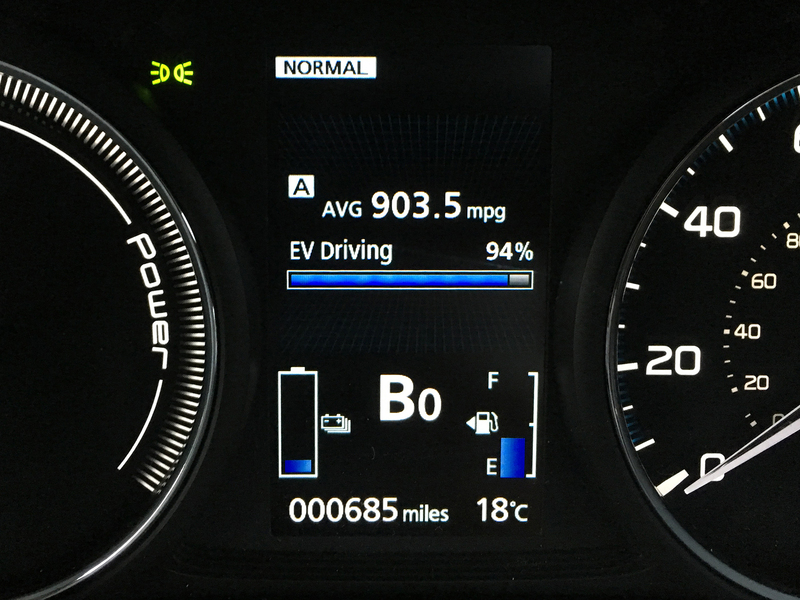 The Outlander PHEV should go up to 27 miles on a full charge (Mitsubishi quote 32 miles), this is dependent on the outside temperature and your driving style. 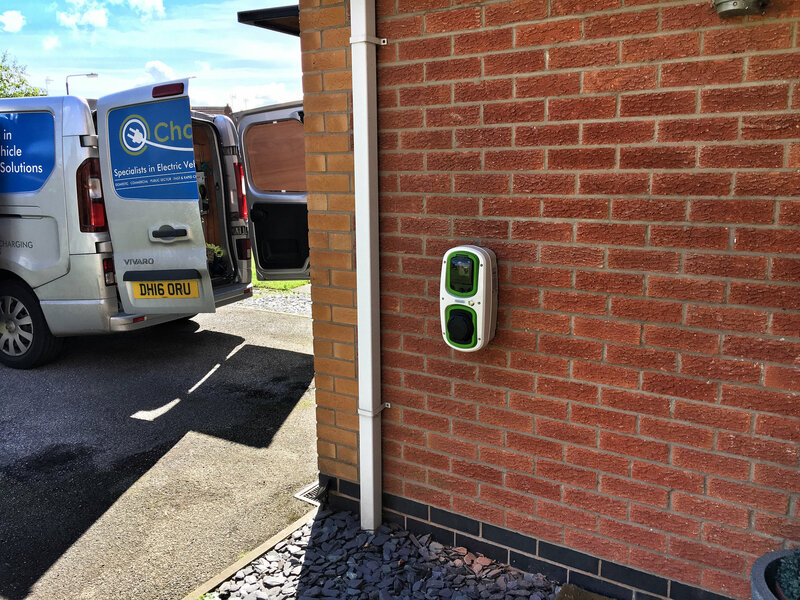 It uses a 12 kWh Lithium-ion battery that can be charged using a standard 13A home socket in about 5 hours. A 16A (or 32A) dedicated home charging point will reduce this to 3.5 hours and a DC rapid motorway station will pump it to 80% in half an hour. So, an average nighttime charge of 10 kWh will cost me 10 x 5.7p, FIFTY SEVEN PENCE – this 57p should get me 27 miles. In comparison my Mini Cooper S needs a gallon of unleaded petrol to move 27 miles on a daily commute. A gallon of unleaded petrol is currently about £4.50. If I happen to drive 27 miles per day and do that for 250 work days in the year I would pay £142.50 in the PHEV or £1,125.00 in the Mini. 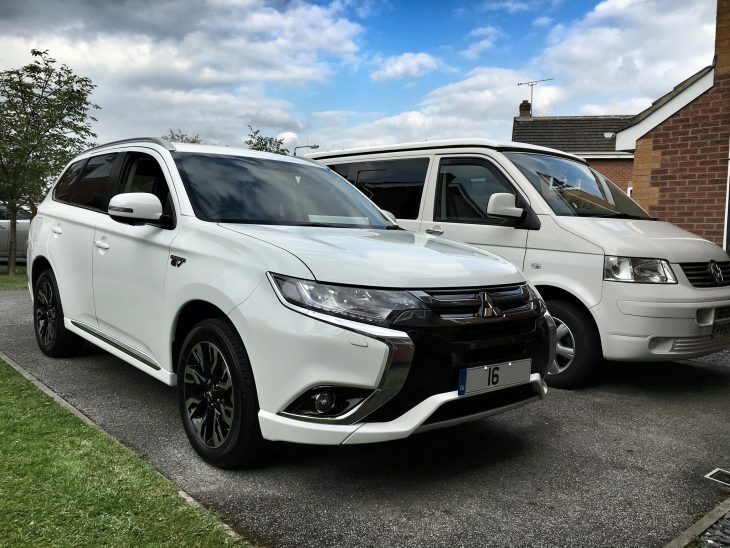 But why the Outlander PHEV? It has 4WD and the electric motors drive the rear wheels even when the battery is dead (it’s magic). I’m sure I’ll provide more updates on how I get on but I know one thing now for sure, I’m already hooked on electric driving and can’t wait to see the developments in vehicles over the next couple of years. I know that once this one goes back there will be a much better choice with a much greater battery range. 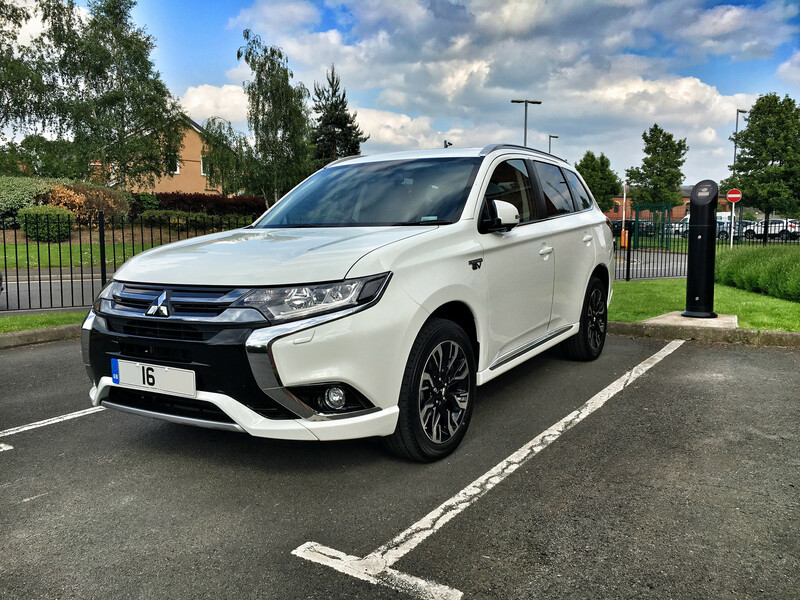 The future is electric and this Outlander PHEV will be a gateway EV for many company car owners – including me.